Without sounding arrogant and conceited, Don Chapman outrightly claimed that news is, “what I say is news.” And years of experience in the realm of journalism have put him on a definitive spot to command what stories are to be conveyed to readers. Author, writer and editor for MidWeek Honolulu, Don plays an essential role in the lives of more than half a million Hawaiian’s; making a difference by providing journalistic views to today’s most important issues. But he says that it is more of team dynamics that gives MidWeek its appeal to patrons. And the staff’s shared sense of value to their cause makes the free publication standout among the rest. “It’s just a lot of good people caring about the product and bringing good ideas forward,” he added. Don Chapman talks to Evan and Kari about the day-to-day intricacies of running a news publication and the key factors in achieving readership loyalty especially for an advertiser-paid paper. Don shares his journey to realize a dream which stems from his childhood days parleying news stories for show and tell. Listen to the aftershow and hear about how one feature story in MidWeek changed the people’s perspective about the free publication and how this brought journalistic credibility to the newspaper. o Editor, MidWeek, Honolulu, November 1994 to present. MidWeek is a tabloid-format newspaper with 268,000 circulation. For 20 plus years we were weekly, and in March 2005 successfully went bi-weekly… In April 2003, we won the Hawaii Publishers Association Pa’i Award for best non-daily paper in Hawaii. The commendation of judges in the Publishers Association awards concluded: “Great job of managing a large publication with numerous departments.”… Within the first year of my becoming editor, MidWeek for the first time in its 10-year history surpassed both Honolulu dailies in readership. A recent survey showed over 60 percent of Honolulu residents now read MidWeek… Helped start six profitable spinoff publications, including weekly community papers and military papers… Duties include managing staff of 12 and stable of free-lancers, story planning for all features, story and photo assignments, page design, editing, writing headlines, writing a column and features, budget planning and management, marketing and promotions. o Restaurant reviewer, Honolulu Star-Bulletin, summer 2003. For 12 delicious weeks, filled in for the paper’s regular restaurant reviewer while she was on maternity leave. o Free-lance writer, June 1992 to present. My writing is regularly published in periodicals that include Men’s Health, Hawaii Magazine (contributing editor), Islands, Travel & Leisure Golf, Guest Informant, Host International, Readers Digest New Beginnings, Links, Golf Illustrated, Golfweek, Senior Golfer, Arizona Golf Quarterly, Desert Golfer, Hawaiian Air in-flight, Northwest Airlines in-flight magazine, Tour & Travel News, Meetings & Conventions, Runner’s World, Aloha Magazine, Seattle Times, The Oregonian, Maui Inc., Island Home. My story on golf at Mauna Lani for Hawaii Magazine won the Hawaii Publisher’s Association Pa’i Award for best sports story of 1998. MidWeek cover story on Jerome Williams of S.F. Giants won second in 2004.
o Columnist, Honolulu Advertiser, Oct. 1979 to June ‘92. “The Herb Caen of Honolulu,” some alleged. The 3-dot column included about 20 items per day, Monday through Friday, on topics ranging from politics and business to entertainment and sports to food and beverage to kids-say-the-darndest-things and talk-of-the-town. It was the best-read column in Hawaii for years. Also: News and feature stories, travel and golf writing. Circulation rose 30,000 and the Advertiser went from perennial No. 2 to No. 1 during my tenure as lead columnist. Twice named best columnist in Hawaii. o Sports columnist/writer, San Jose Mercury News, March 1976 to Oct. ‘79. Outdoor editor and columnist (fishing, hunting, hiking, camping, bird-watching), skiing columnist, running columnist. Also: Junior college sports beat and column, plus motor sports, prep sports, track & field, minor league baseball and sports desk duty. First-person coverage of the Bay-to-Breakers race in San Francisco was named best sports feature of Spring ‘77 by the Bay Area Journalism Review. o Sports editor, The East-Oregonian, Pendleton, Dec. 1974 to Feb. ‘76. Duties included writing three columns per week, plus coverage of all prep sports in five counties and 100,000 square miles, plus local junior college sports, as well as daily sports pages design. Coordinated stringers in several far-flung bergs. Also: Daily fire and weather reports, weekend police beat, weekly medical column, photography and dark room work. o Correspondent, UPI, covering University of Oregon football, basketball, track & field, and Eugene Emeralds minor league baseball, 1973-74. The AP guy never once beat me. o Sports writer, Springfield News, 1973-74. Covered 5-10 high school games, meets and matches per week while attending University of Oregon. o Sports editor, Daily Emerald, 1973-74. (Award-winning campus newspaper, University of Oregon). Columns, game coverage, page design, assignments and scheduling for a staff of 15 overly sensitive young writers. o Correspondent, 1973-76, for publications that included The Oregonian, Oregon Journal, Associated Press, Eugene Register-Guard, Oregon Statesman-Journal, Seattle Times, New York Times, Times of London. o Author of “Mauna Ala: Hawaii’s Royal Mausoleum,” (2004 Mutual Publishing of Honolulu). o Author of “You Know You’re In Hawaii When… ” (2003, Mutual Publishing), best-selling local book in Hawaii during the 2003 holidays. o Author of “Boys of Winter - The Story of the Hawaii Winter Baseball League” (1995, Judgment Books). 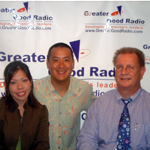 o Commissioned by Fodor’s to upgrade and expand golf coverage in its 2006 Hawaii guide. o Wrote a chapter about ghosts on golf courses in compilation “Chickenskin” (Bess Press, 1996). o Wrote introductory chapter on the history and essence of golf in Hawaii for “Hawaii Golf” (Foghorn Press, 1991). o Wrote a chapter of personal remembrances in “Pre,” biography of the late Olympic runner Steve Prefontaine, 1975.
o Commissioned to edit a book of philosophical sayings from an infamous, self-publishing Hawaii restaurateur, 1999.
o Member, board of directors, Kalihi-Palama Health Center, Honolulu (provides quality medical care to low-income individuals). oFounding board member/vice-president, Friends of Mauna Ala (supports Royal Mausoleum in Honolulu). o Honorary chair, 2004, annual fundraiser for Helemano Plantation (provides job training and work opportunities for mentally retarded individuals). o Past member, board of directors, Hawaii Judiciary McGruff Committee, which introduced McGruff the Crime-fighting Dog to Hawaii. o Past member, board of directors, Hawaii Cystic Fibrosis Foundation. o Founding member, School Community Based Management board, Benjamin Parker Elementary, Kaneohe, HI. o Founder of youth PAL volleyball league that today gives over 500 Windward Oahu kids a chance to learn and play volleyball. o Youth league baseball, softball and soccer coach - 12 years - Oregon and Hawaii. Assembly line bolt-twister, plastics molder, chicken picker, school teacher, bartender, farm hand, substitute preacher, dish washer, cook, waiter, mail carrier, fruit picker, custodian, bus driver, gas station attendant, drug store delivery boy, newspaper carrier, caddie. All pre-1974. o University of Oregon, Eugene, 1973-74. Left school one term shy of graduate degree in journalism to accept sports editor job at East-Oregonian in Pendleton. I needed a job more than another degree. o Concordia Seminary, St. Louis, Mo., 1972. Turned in my white collar for personal reasons, and have been blessed ever since. o Concordia Teachers College, Seward, Neb. B.S. in Education, 1972.
o Concordia College, Portland, Ore. A.A., 1969. Associate editor of campus newspaper for two years. Baseball letterman. o McNary High School, Salem, Ore., 1967. Associate editor of award-winning school newspaper. Baseball letterman. Voted best sense of humor, co-best dancer.